Beijing continues to watch with unease as the violence in Iraq drives up global oil prices and brings the country to the brink of a sectarian split. With no end in sight to the unrest, Beijing dispatched its special envoy for the Middle East to Baghdad on July 7. But China’s diplomatic outreach will remain limited. For the leadership in Beijing, the cost of deeper strategic involvement in Iraq still far outweighs the cost of inaction. Their preferred option is to look inward, and hedge their bets overseas. To be sure, instability in Iraq has serious implications for China’s energy security. Chinese oil imports from Iraq have surged from 300,000 barrels per day (bpd) in 2012 to 720,000 bpd in April 2014. Any supply disruptions would require Beijing to secure a replacement for more than 10 percent of total oil imports and see the cost rise substantially: a $10 increase in oil prices would, it is estimated, lower China’s GDP by 0.2 percent. This is an alarming prospect for a Chinese government already struggling to keep economic growth at its 7.5 percent target for this year. 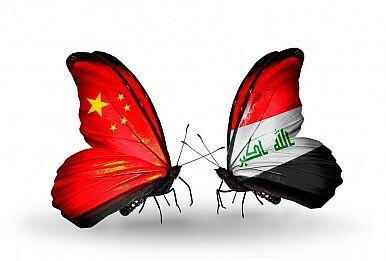 China is also the top foreign investor in Iraq’s energy sector, accounting for roughly 700,000 bpd of output in 2013. Even though instability has thus far left the Southern oil fields – where most of China’s assets lie – unharmed, simmering tensions could undermine Iraq’s production outlook. At a time when Chinese national oil companies are coming under greater scrutiny at home for their investments and losses, the pressure to keep their investments profitable is high. Moreover, with roughly 10,000 Chinese workers in Iraq, employed in energy, telecommunications and construction, the question of the state’s responsibility to protect is once again being raised in Beijing. Whilst the principle of non-interference in the affairs of other states remains a central pillar of Chinese foreign policy, China’s growing global footprint and sprawling investments mean this is increasingly being put to the test. In March 2011, following the collapse of the Gaddafi regime in Libya, China was compelled for the first time to send military assets to a distant part of the world to evacuate its citizens. But judging by Beijing’s response to the violence in Iraq, interference is not on the agenda. Expressing support for the Maliki government could not only affect ties with subsequent Iraqi governments, but will also reverberate in neighboring Syria, Iran and Saudi Arabia, where China’s energy and trade links also run deep. If there are any lessons for China from its involvement in Iraq over the past decade, it is that non-interference in the country’s politics pays off. To be sure, Beijing is concerned about its energy security. But rather than intervening, its impulse is both to turn inwards and hedge its bets overseas. At home it is increasingly emphasizing stockpiling, energy efficiency, innovation and fuel switching. And Beijing knows it can rely on traditional Middle Eastern suppliers such as Saudi Arabia and Iran. It knows it will be able to import even more if the prospects for the easing of international sanctions on the latter materialize. It could also raise its imports from the UAE and Kuwait, given recent pledges to deepen ties with both countries. Moreover, as the country invests in more complex refining capacity, Chinese traders can look further afield to new providers in Latin and North America. The collapse of Iraq matters as much to China as to anyone else. As a result, it may become more heavily engaged diplomatically, within the UN and through greater outreach to non-state groups. But despite having major energy and commercial interests at stake, Beijing has neither the willingness nor the capacity to forge a proactive policy in Iraq. Michal Meidan is an Associate Fellow in the Asia Programme at Chatham House. She is also Director at China Matters.